SHARON LIVE-ON FOUNDATION PARTNERS WITH COUNTY GOVERNMENT OF NANDI IN AN AIM TO IMPROVE HEALTH SERVICES. 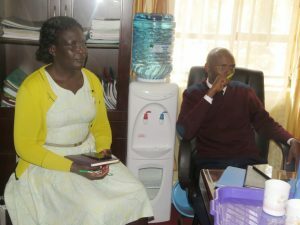 The Sharon Live-On Directors, Barnabas Korir, Chairman Athletics Kenya, Nairobi Region together with his wife Dr.Agnes Korir, today paid a courtesy call to the CECM Health and Sanitation Ruth Koech on a follow up on Sharon Live-On Support program to the County. 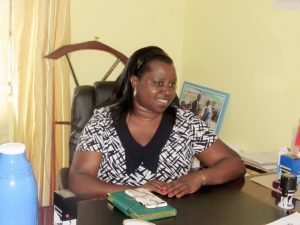 Sharon Jepchumba Korir, an 8-year old girl, in 2003 was bitten by a stray dog, which first chased her and then attacked her, leaving a small scratch on her back.Her parents took Sharon immediately to the hospital,but later succumbed to active-rabies three weeks later. It was this tragedy that inspired Sharon’s mother, Dr. Agnes Korir, a lecturer at Daystar University in Nairobi, to open a foundation in Sharon’s name,Sharon Live-On Foundation. Finding a way to keep her daughter’s death from being in vain. The Foundation together with its partners are planning on facelifting Sironoi Dispensary to aid in improving service delivery to its environs. This includes equipping it fully to a higher level facility. 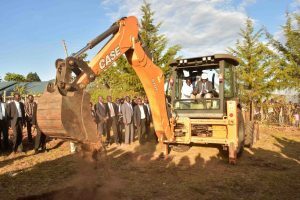 The foundation has already bought an acre piece of land in readiness of the construction of the extensive building as soon as MoU is signed between them and the County Government. The CECM in the brief mentioned that this is a welcomed partnership as it it will boost the health care fraternity. “This will built as an emulative act by other partners and organizations through the country to promote health services” mentioned the health boss. 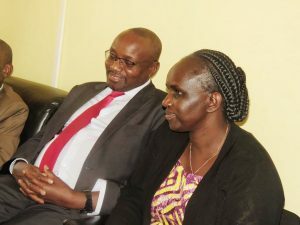 Present during the meeting were the Chief Officer Preventive and Promotive Health Services Sally Kemboi and the Director Medical Services Dr.David Bungei. 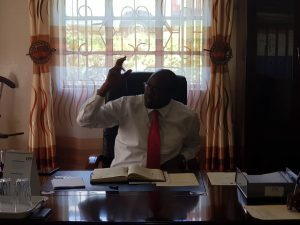 World vision to partner with Nandi County in youth empowerment. Nandi being a youthful government, youth issues are their number one priority and for this reason, many institutions want to partner with the county government purely on youth issues. 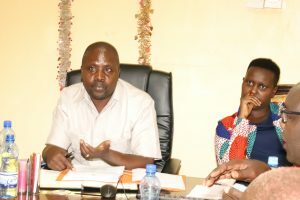 World vision is seeking to partner with Nandi County on the Youth empowerment projects. This flagship project began with 6 counties and is now proceeding with the next 8 counties Nandi being the first on the list. Some of the counties to have had the project implemented include Homabay, Migori, Kisii, Siaya, Kisumu. Their main aim is putting their weight on youth issues so as to impact the society positively. CECM sports and youth affairs with World vision representatives. Forming a technical working group in a county ensures issues are advocated seriously. Youths are to be educated on aspects of governance, ensure they participate in budget making process, be taught to adopt self sustaining cultures like the saving culture which many youth don’t have. It will also structure a way for the youth to engage and their interests taken care of. 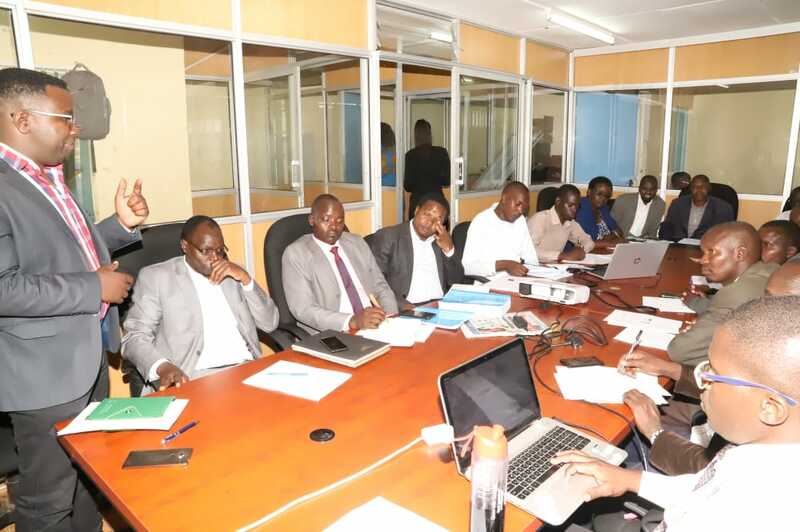 The technical working group will have members drawn from several spheres which will have members from the world vision, the youths, the county assembly representatives, education officials and be chaired by the CECM sports. The CECM sports Elly Kurgat today hosted representatives of the world vision in his office. He outlined the many plans Nandi has for the youth with the most recent one being putting the bodaboda operators in saccos. World vision agreed to among other things work with the county government on the boda boda program. Nandi Countys’ Mathew Kisorio is the winner of the 42km men’s race at the just concluded second edition of the Eldoret City Marathon held in Uasin Gishu County. In a tough race, Kisorio and The Standard Chartered Singapore marathon champion Joshua Kipkorir who led most of the race were locked in a tough battle but Kipkorir faded away at the 21km mark with Mathew Kisorio taking charge of the race from the point. Kisorio, a native of Nandi – The Source of Champions, dominated the race and won in 2:12:38 edging out David Kiplimo (2:12:48) and Kenneth Kemboi (2:12:51) rounding off the podium. 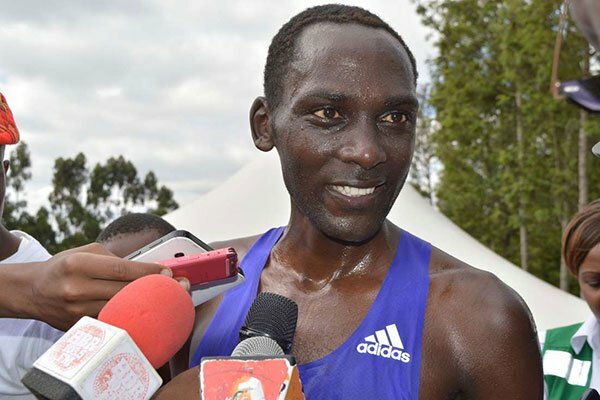 Kisorio said he is now preparing for the Valencia marathon to be held later in October. “I only had one week to prepare for this race and now I am preparing for Valencia marathon,” added Kisorio. The marathon, which is the brain child of former world champion Moses Tanui is one of the well-paying races with the winner pocketing over 31000 euros equivalent to Ksh 3.5milion, as the first runners up winning Ksh1.5m as the second runners up took home KSh1m. This year’s theme ‘Mitigating Climate Change’ is alingned with the current tough climatic conditions. “Apart from the annual Isaiah Kiplagat Ndalat Gaa Cross Country to be held in October in Nandi which I welcome all esteemed athletes, we as the Source of Champions will also host the most rewarding half marathon event in the continent in December.” said the Sports CEC. 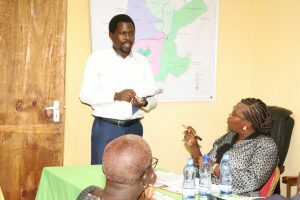 Nandi County Digital Mashinani program is aimed at equipping the people especially the youth with the digital skills by providing the tools, training and offering mentorship needed. This enables the youth to use the available technology to grab available online jobs, create more jobs, work online and earn out of it so as to improve their livelihoods. These skills will also expose them to digital opportunities and careers that will boost their employability. 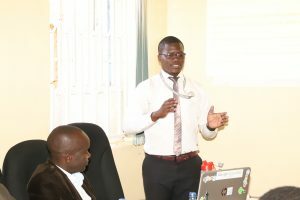 The County Government of Nandi is partnering with the National Government’s Ministry of ICT-Ajira digital program, Google’s eMobilis and Computer For Schools Kenya (CFSK) in the implementation of the digital skills training initiative. This program will be rolled out in all the Vocational Training Centres (VTCs) where the County through the departments of ICT and e-Government together with Education and Vocational Training is equipping the VTC’s computer labs. The partnership with CFSK has recieved 20 computers for each of the 10 VTCs in the county. 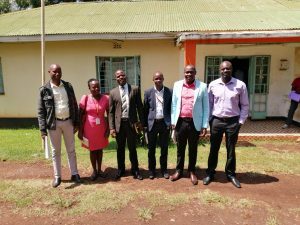 These VTCs include Kapsabet school for the deaf, Kaplamai, Sigilai, Meteitei, Mugen, Serem, Sirwa Yala, Chemundu, Kaptel and Tangaratwet. The Chief Officer for ICT and e-Government, Jonathan Misoi, while chairing the program’s stakeholders meeting, said that the County government has set the best environment and provided the necessary resources for the implementation of this program. 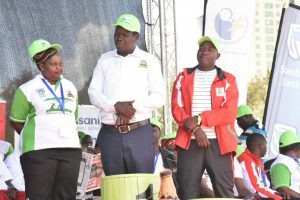 He therefore calls upon the youth to enroll in any VTC in the county for this program as from May 2019 and that The Governor, H.E Stephen Sang, will soon be launching the program. The County ICT team together with experts from CFSK have already completed the installation of these computers and the stations are ready for use by the students. The county is also providing training manuals from the partners to be used for the free digital skills training where as CFSK, AJIRA and Google will be examining the students and providing the relevant certifications. The Chief Officer in charge of Education and Vocational Training, Daniel Sang pointed out that his department will be keenly monitoring the implementation of this program. He further added that this program is an enabler in the learning process of other courses offered in the VTC and therefore encourages students to grab the opportunity. 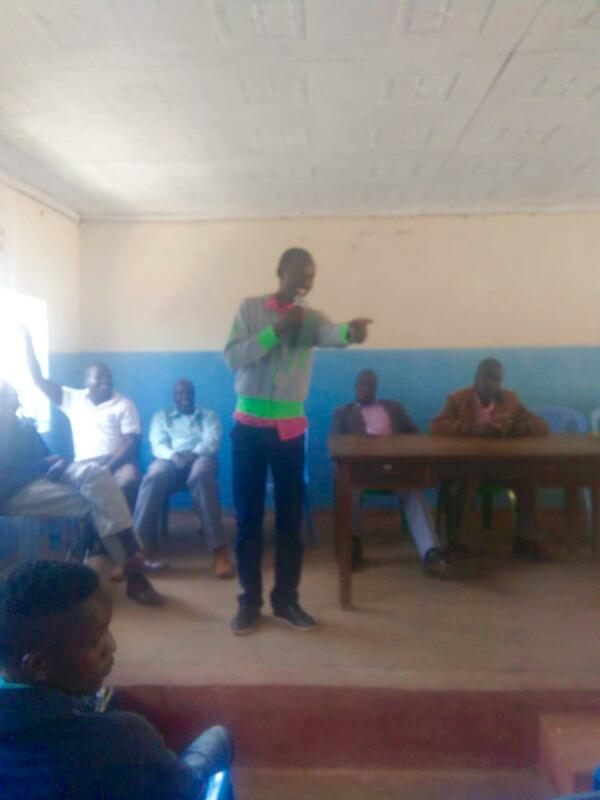 Mr. Gideon Karoney, a manager at Kaptel VTC congratulated the county govenment for the technological move towards making the VTCs better learning environment and a centre for the implementation of the County Digital Mashinani Program. Also present in the stakeholders forum were: Managers from all the VTCs, County ICT training team and Google’s eMobilis trainer. 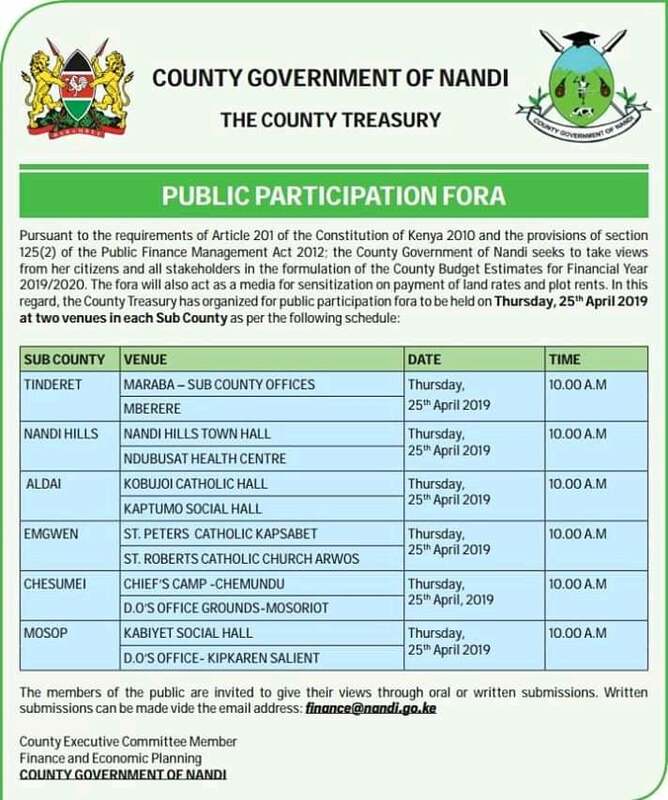 The County’s department of Finance and Economic is seeking for Citizens’ view on the formulation of County budget estimates for FY 2019/2020. Having taken the County Fiscal Strategic Paper through the public and the County Assembly, it has developed departmental budget estimates. 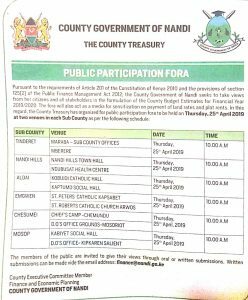 The County Treasury has therefore organized for public Participation fora to give the citizens an opportunity to give their views in all the sub counties on Thursday 25th April 2019 as from 10.00 am. √ Mosop Sub county meet at Kabiyet Social Hall and D.O’s office kipkaren. The members of the public are therefore called upon to attend these fora so that they may be informed, give their opinions and be part of the decision making in this part. On the same day, the department will also be sensitizing the public to pay their land rates and plot rents as one of the major sources of local revenue. An increase in local revenue increases the allocation from the national government, therefore resulting in more funds to be allocated for development in the county. A copy of the advert on The Daily Nation dated 17th April 2019. 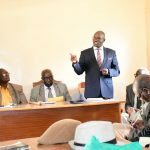 KIBT SEEK MOU WITH COUNTY GOVERNMENT. 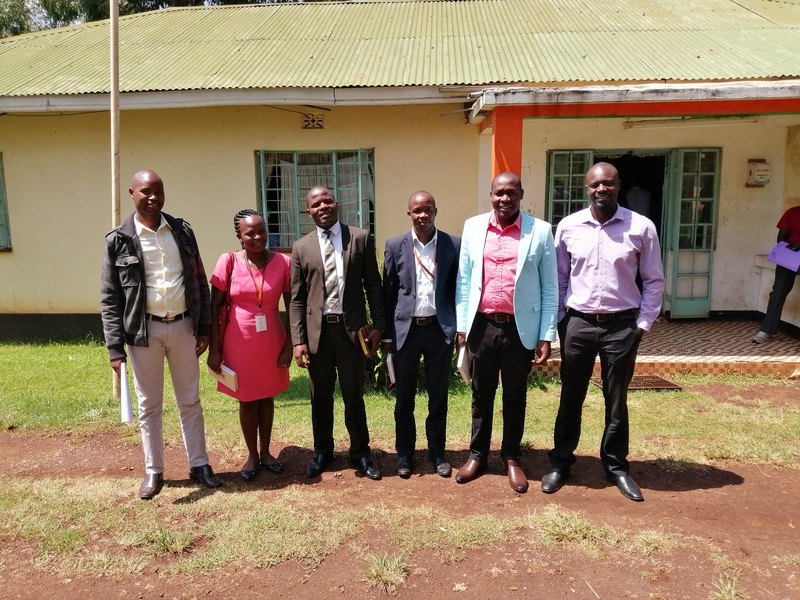 A team of training facilitators from Kenya Institute of Business Training Thursday visited the county’s department of Trade, Investment and Industrialization where they met the department’s CEC Jacob Tanui.The team that is mandated to carry out training on micro, small and medium enterprises came to seek an MOU with the county government with regard to training MSMEs in the county. 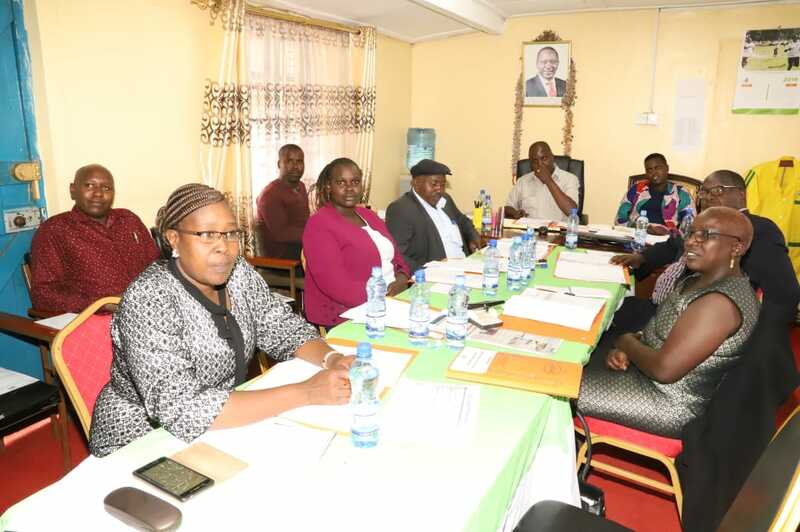 The visit comes in a time when the department is in the process of developing a county enterprise fund Bill which is intended to improve the livelihood of Nandi residents by means of economic empowerment. Speaking during the meeting the CEC welcomed the team’s offer to work with the county government for the betterment of MSMEs. 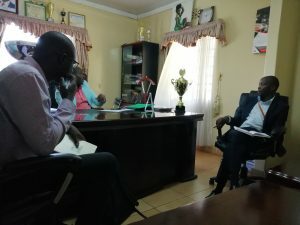 He reiterated that his initiative is geared towards a structured, focused and sustainable working relationship with MSME development.The CEC termed their visit timely to the department stating that the department’s focus is to link and network entrepreneurs with projects that have huge benefits. The collaboration between the institute and the county government will help establish a memorandum of understanding which will in turn assist the county pull resources together to benefit the micro, small and medium enterprises. The training institute targets to undertake; capacity building for informal traders, develop entrepreneurial culture among youth through training, create linkages and develop women entrepreneurship programs to ensure high incidence of entrepreneurial success. 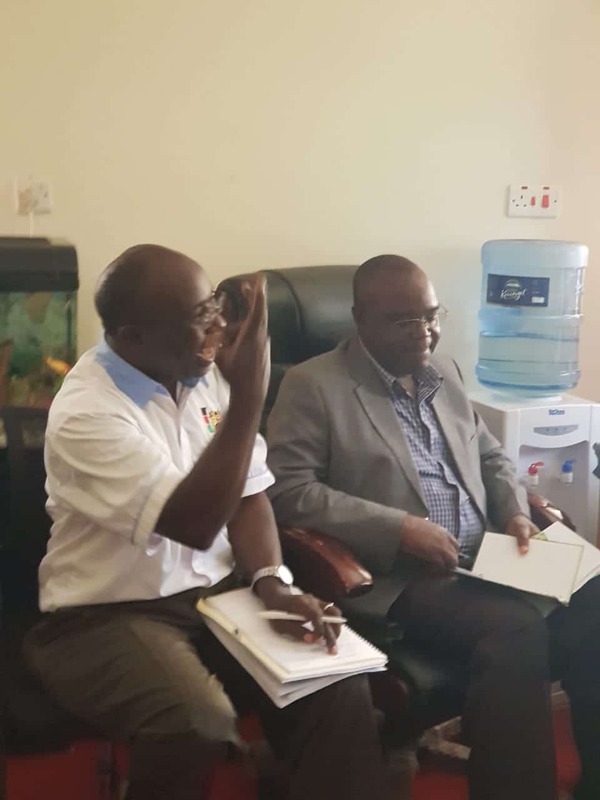 Present during the meeting was CO Trade and investment Feizal Mohamed and the Director for Enterprise development Jonah Bwambok, Gideon Njogu, Lead Consultant on Productivity and Quality Management (KIBT) and Samson Owando Lecturer (KIBT). 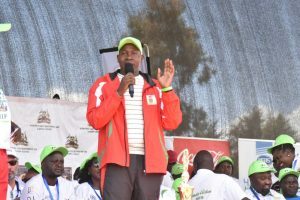 Deputy President William Ruto has lauded Nandi Governor Stephen Sang’s Development record saying that Nandi residents have tasted the fruits of Devolution. Deputy President Dr William Ruto laying the foundation stone for the Nandi County Milk Processing Plant. 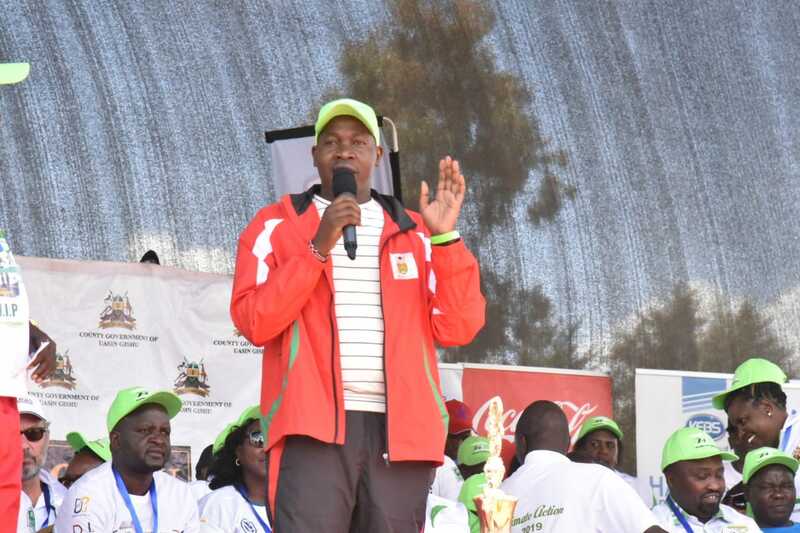 Speaking on Friday when he toured the County, Ruto said the various development projects initiated by the County Government has changed lives of many residents. “We commend Nandi County for being one of the model counties in the country that Devolution has worked especially on the health sector, Value addition and youth empowerment” Dr Ruto said. 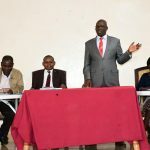 The DP said that Nandi County will now be a benchmark for other counties across the country who want to excel in various sectors such as Health, Agriculture and Infrastructure. The two leaders begun their development tour of the County at Emsos Technical Training Institute in Chesumei Sub County where they opened the institution that was funded by the National Government. 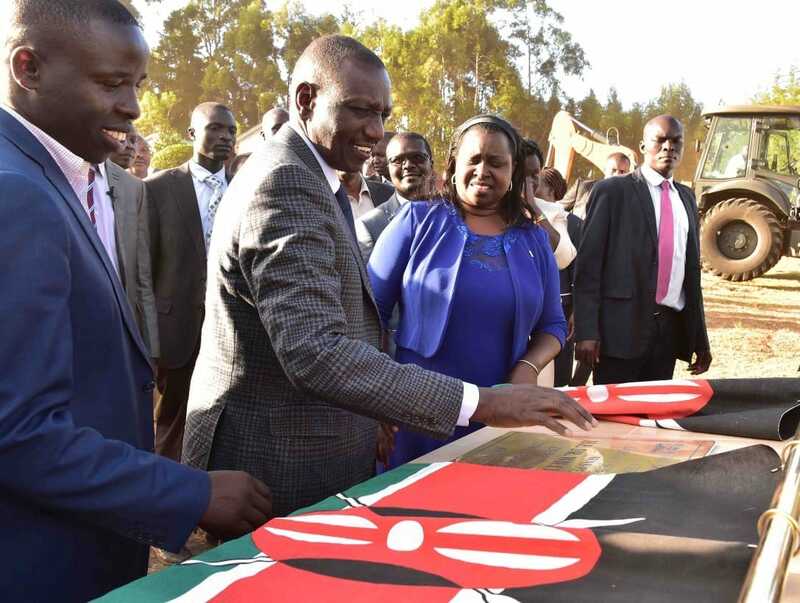 Speaking during the opening of the institute, Dr Ruto said the National Government has allocated enough funds that will be used to pay school fees for technical students. 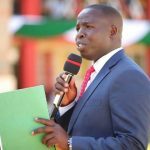 Nandi Governor appealed to parents and guardians to take their children to Technical training colleges so that they can acquire technical knowledge that will enable them live better lives. 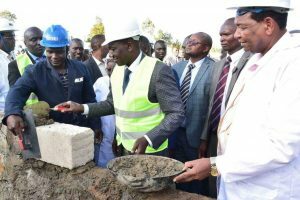 During his tour, Dr Ruto also layed a foundation stone for the proposed Nandi County Milk Processing Plant that is being established at Kabiyet in Mosop Sub County. 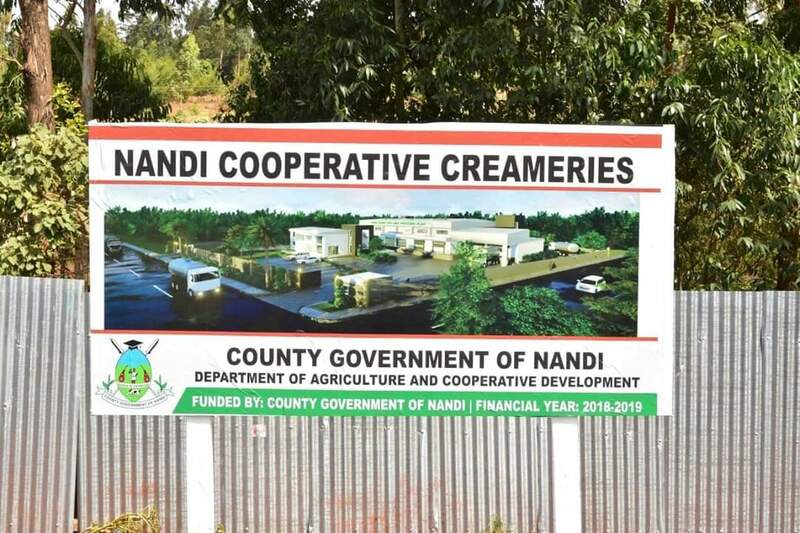 Once established, the Processing plant will benefit more than 100,000 dairy farmers in Nandi and will enable them add value to their dairy produce resulting in huge profits. 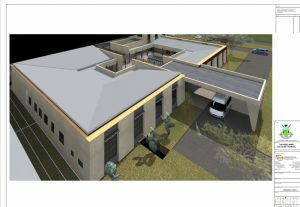 The Milk Processing Plant is the first ever Milk plant to be constructed by a County. Deputy President William Ruto commended the county’s idea of constructing the Milk plant saying that it help dairy farmers in the region. The Dp called on the residents to work with their leaders so that the development agenda is realized. Present also were Chesumei Nandi Senator Samson Cherargei, Woman Representative Tecla Tum, Chesumei Mp Wilson Kogo, Mosop Mp Julius Melly, Aldai Mp Cornelly Serem, Benjamin Washiali among other leaders.